On May 5, the Sustainable Mobility Advisory Panel (SMAP) presented their update to the Committee Serves Committee of Council. Chair Steve Reitzel spoke. The panel’s task is to “assist staff and Council in implementing a vision for a holistic approach to a multi-model transportation system where citizens can walk, cycle and/or use public transit efficiently and safely to get to their destinations.” To this end, they brought forward six simple but important recommendations. Two recommendations aim to entrench a shift in priorities so that all users are considered equitably when it comes to our roads. Adopting a complete street policy would do just that, by directly designing streets with all users in mind. Councillor Terry Kett declared that after his experience with Second Avenue, “a complete streets policy now makes sense to me.” “It should be a policy of this city. I am going to make sure this does happen,” he added. A Transportation Demand Manager is another recommended change that would ensure transportation is about moving people, not just cars. Kett supported this idea as well, but added that there was currently a hiring freeze at the city, and that it was something for the next council to address. 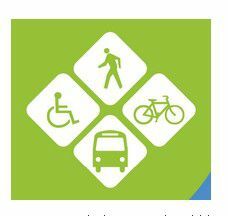 A further recommendation was for specific line items in the municipal budget for walking and cycling infrastructure, above and beyond what is done during road projects. Only this way could an effective and connected system of routes and trails be developed, asserted Reitzel. During the budget process, a number of councillors were on record stating that there was a need to ‘put our money where our mouth is’ when it came to active transportation infrastructure. However, no specific budget funding was allocated. Some specific funding for cycling infrastructure in new developments is being recommended in a report regarding development charges, currently under review. Three of the six recommendations dealt with transit. A staff representative from transit is needed on SMAP, the lack thereof having hampered communication and progress on transit service. SMAP also pointed out the need for an optimization study of transit service, although there was some confusion among councillors as to whether this was already underway, reinforcing the need for a connection with the transit department. Reitzel suggested that such a study might lead to multiple transit hubs, as was the case in Barrie. This idea has support among local transit advocates. Finally, SMAP recommended that transit route planning be made available on google maps, apparently a ‘work in progress’ by the transit department. There was general support around the table for the work and recommendations of the panel, as well as recognition that the city needs to do better. “Municipalities are having to take a new look at how to do things…if we’re behind, we have to catch up,” said Councillor Frances Caldarelli. “It’s more and more what we’re hearing people want,” she added. Councillor Ron Dupuis stated that there was “willingness to do more,” but that at budget time, “everything falls off the table”. Reitzel reminded him that roads receive major upgrades only every twenty years, so it was important not to miss the opportunity. Not mentioned in the presentation was the growing frustration of SMAP members in regards to the slow pace of change in response to their recommendations, and most acutely, to the lack of communication and opportunity for input on relevant projects. In a July 2013 letter, SMAP requested to view plans for infrastructure renewal projects prior to tender, in order to provide feedback relevant to sustainable mobility. In their view (and in the view of other sustainable transportation advocates), this would better allow them to fulfill their mandate, while resulting in better outcomes for citizens and for the city. This is an issue they and others intend to address during the upcoming city-led review on citizen engagement, which will include a review of advisory panels. Some felt that leaving it out of their presentation was a missed opportunity to bring it up directly to councillors.